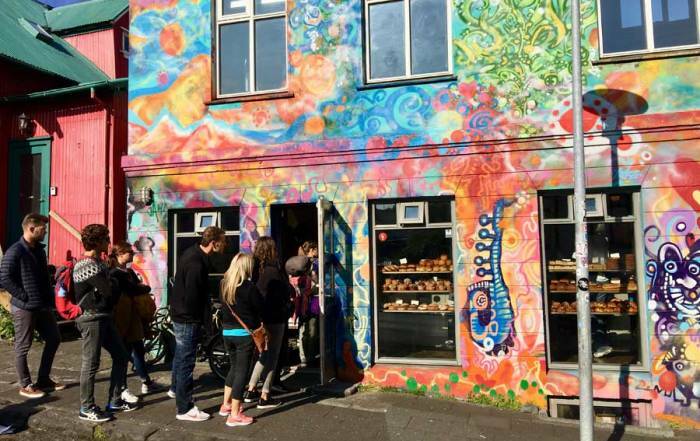 Take a Panorama Bus Tour when you visit Geiranger and you can see the the Flydalsjuvet Viewpoint, Eagle Bend Lookout and the Norwegian Fjord Center. 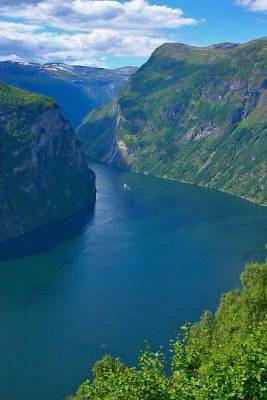 Eagle Road and the Eagle Bend Lookout have great views of Geiranger Fjord. 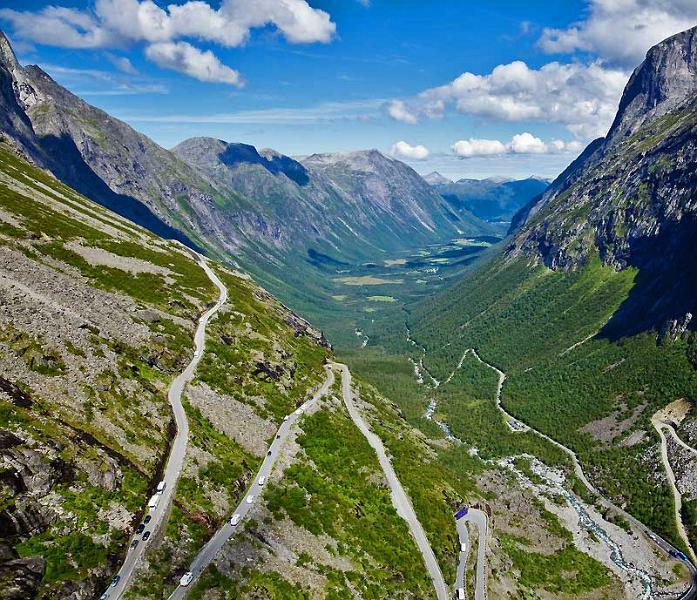 After the lookout, continue on a day trip to Trollstigen to enjoy even more exciting switchbacks on the Troll’s Road and then experience the shear cliff edge of the Troll’s Wall. Experience the Geiranger Fjord and its waterfalls with a one-and-a-half-hour sightseeing trip on board Geirangerfjord Sightseeing. 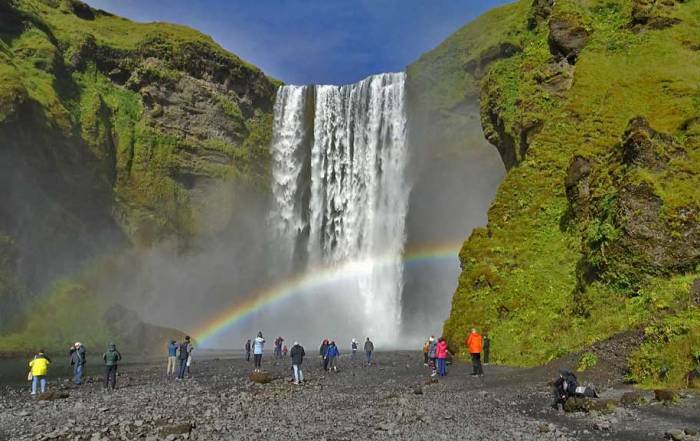 Sights to see include the Bridal Veil Falls, the Seven Sisters Falls, Knivsflå Falls and the Suitor. 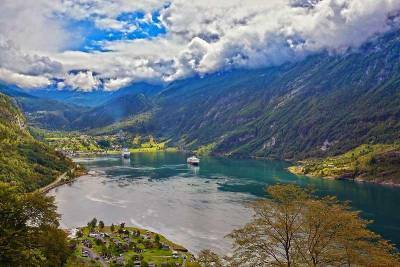 Cruise ship passengers will see these all from their ship as they approach the village of Geiranger. Rent a kayak or take a guided kayak tour. Ride a Rigid Inflatable Boat (RIB) with Geiranger RIB. 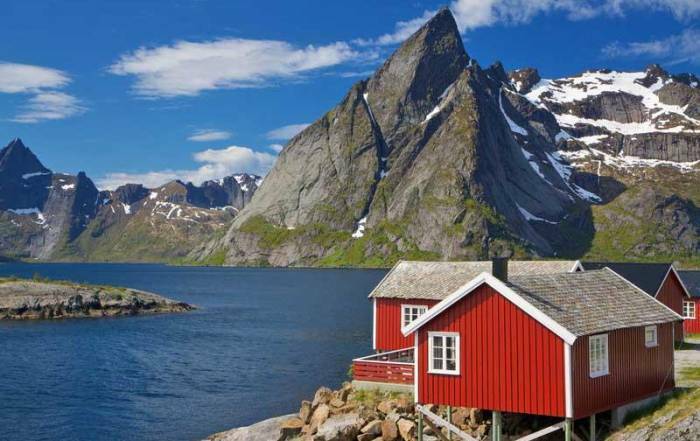 Visit the tiny octagonal Geiranger Church. Walk to Skageflå and Knivsflå mountain farms. Bus to Mt Dalsnibba Skywalk for a panoramic view of the mountains, Djupvanet Lake and several waterfalls. On route, stop at the Stone Bridge of the Knuten. Join Sky to Fjord on a bike ride from Djupvasshytte Lodge down 17 km to Geiranger Fjord. Alternately, participate in June in the Dalsnibba Run, which is a half marathon from the Geiranger Fjord up to the Mt Dalsnibba summit. They also have a bike race and a ski race. Travel past Dalsnibba to the Tystig Glacier. 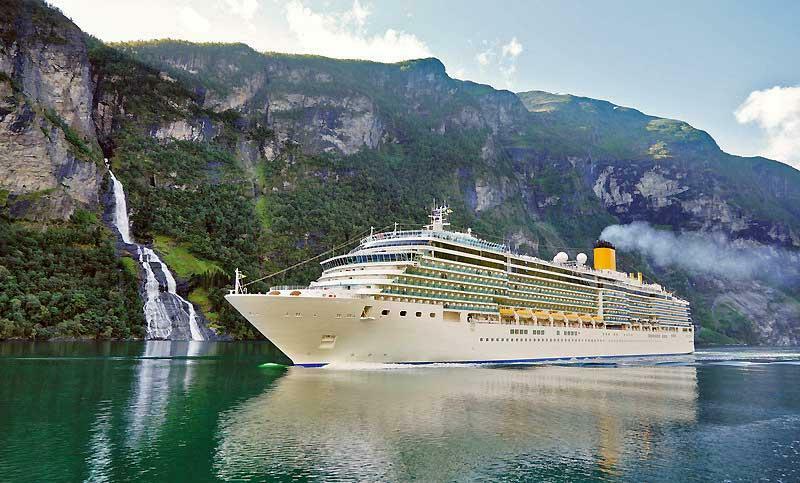 Although the town is accessible by vehicle on Norway’s route 63, most visitors get to Geiranger by cruise ship during the brief Norwegian summer. On cruise ship days, the tourists far out number the local population. one hour summer ferry between Geiranger and Hellesylt. On Northbound Norwegian Coastal Cruises Hurtigruten sails through the fjord during the summer months (June 2 – September 30). 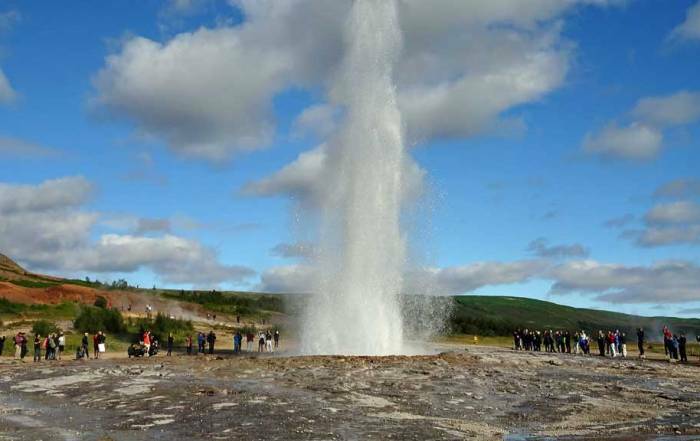 For the best source on additional information about the area, link to Geiranger Fjord Service. The long days of the Norwegian summer from May to September are the best time to visit Geiranger. Geiranger weather never gets very warm though, because its so far north. July and August are the warmest months with average highs of 68 F (20 C) and average lows of 54 F (12 C). In the winter months from December – February, average highs are 40 F (5 C) and average lows are at the freezing mark. Rainfall levels are lower from May to July. 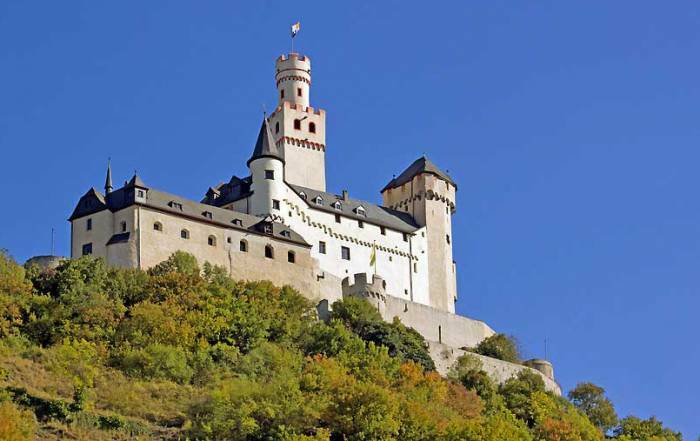 Many attractions are closed for the off season after the summer tourists leave. 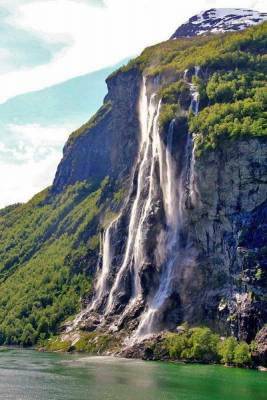 Geiranger is a small village 60 miles east of Alesund on the Geiranjgerfjord, which is an arm of the Storfjord. Geiranger became a UNESCO World Heritage Site in 2005 and has become one of Norway’s most popular fjord destinations. 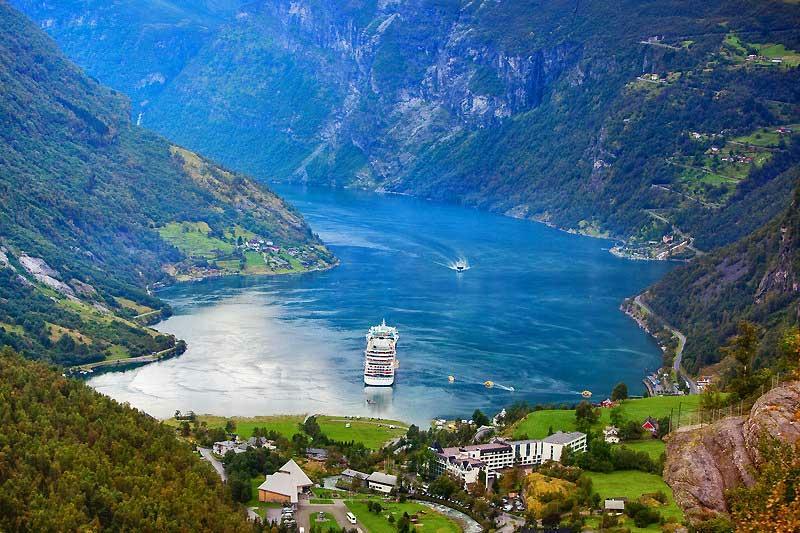 The Geiranger Fjord is about 2,000 feet deep and the mountains at the edges of the fjord rise to 6,500 feet.